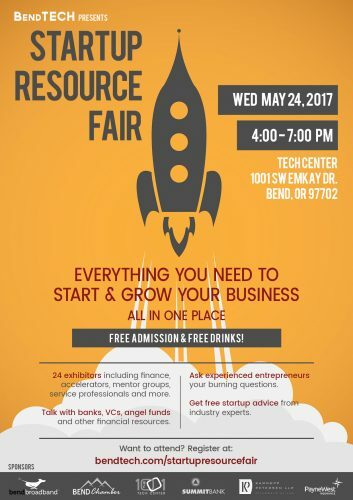 BendTECH Coworking presents the first-annual Startup Resource Fair, scheduled for Wednesday, May 24 at the 1001 Tech Center. 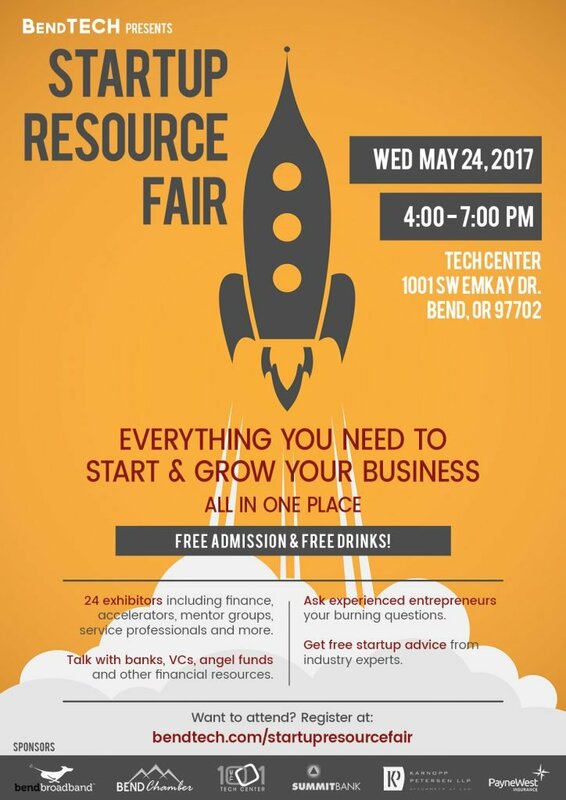 This fun-filled event puts all the resources you need to start or grow a business in one location. “The goal is to give anyone who has thought about starting a business – as well as those who have already launched one – the opportunity to ask important questions to topic experts and connect with all the resources Bend has to offer them,” says Kelly Kearsley, BendTECH board member. Each exhibitor will have a table, and attendees can walk the fair, meet and talk with whichever exhibitors they’d like. In addition, the event will include short, informal presentations – Free Advice – from select exhibitors, offering up a quick bit of their expertise. 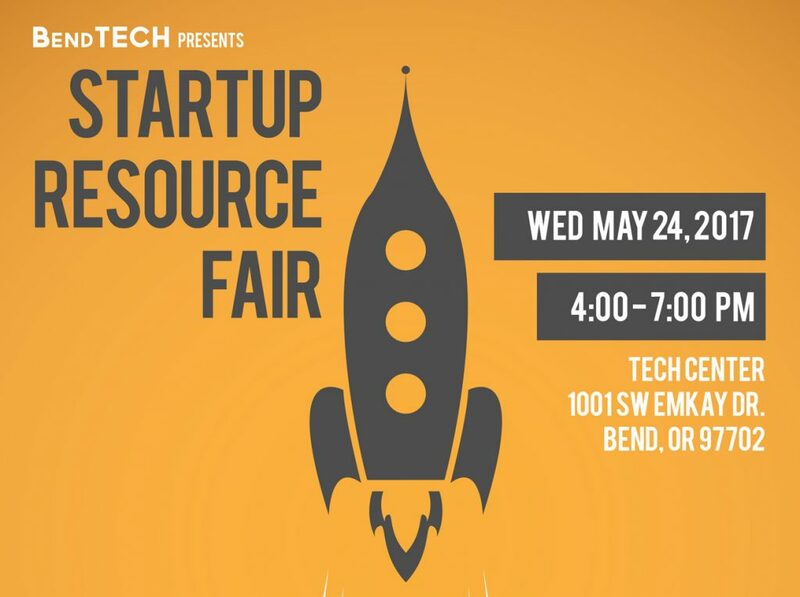 The fair will also feature founders and experienced entrepreneurs inside the BendTECH coworking space. Identified by “Ask a Founder” signage, attendees can tour the coworking space and glean advice from resident founders who have already started their businesses. Free advice presentations begin at 5 p.m.